The daughter of a man murdered in Wigan appealed for fresh information about her father’s unsolved killing on the anniversary of his death. Ashlea Parr spoke of her anguish at the silence that has lasted 16 years after dad Billy Webb was gunned down in 2001. Two armed men blasted the 42-year-old to death at his flat on Whiteledge Road in Ashton-in-Makerfield on May 25, 2001. He was shot twice in the head as he lay in bed and was killed instantly. The execution-style death shocked the borough to the core, and the gunmen have never been brought to justice. A 21-year-old woman who was in a casual relationship with Mr Webb was badly wounded during the attack. And on the anniversary of the traumatic events, Ashlea pleaded with people to do what nobody has done to this day - talk. “When I say nobody spoke out, I mean it. They just didn’t care,” Ashlea said. 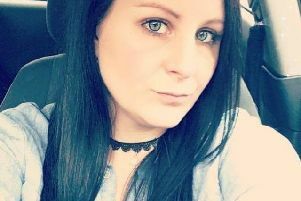 The 22-year-old from Great Lever in Bolton, revealed the unending heartache she was dealt by the murder. “I was six when it happened, now I’ve dealt with it for 16 years, which isn’t easy. Ashlea is now urging anyone who many know anything to come forward and help solve the notorious killing. The only two men ever tried in connection to the killing were cleared after the case against them sensationally collapsed, two years after Webb’s murder. Brian Roper and Paul Swann were found not guilty of conspiracy to murder in 2003, after their defence submitted that there was insufficient evidence against them. The judge in the case eventually directed the jury to find the pair not guilty. It had never been suggested that either man pulled the trigger. The case remains open to this day. Anyone with information should call Greater Manchester Police cold case unit on 0161 856 5961.